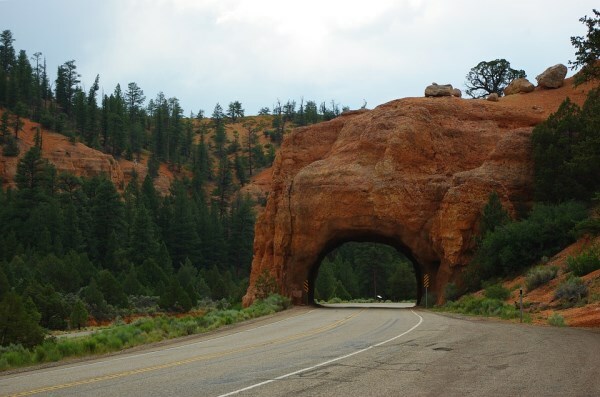 This unusual tunnel can be seen in California's Sequoia National Park. 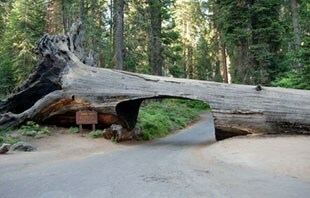 The drive is cut through the tree trunk of a Sequoia which fell in 1937. 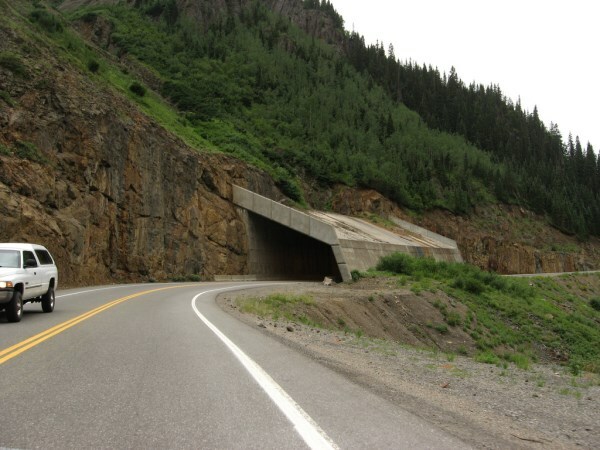 Instead of removing it from the road, the park administration decided to cut a tunnel in it. It's 5.18 m. (17 ft.) wide and 2.44 m. (8 ft.) high. 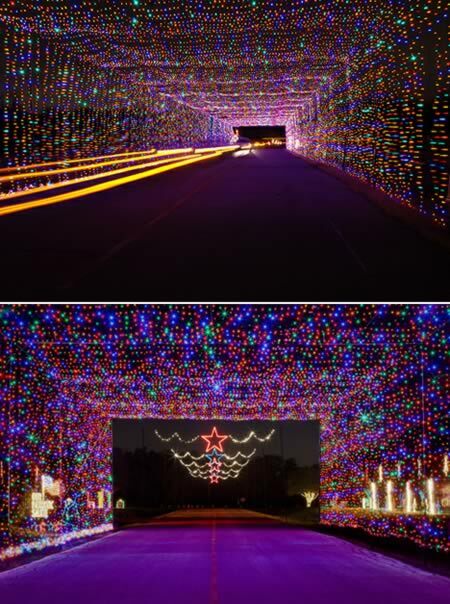 Prairie Lights is Texas's premier holiday drive-through park, featuring more than 4 million lights along the shores of beautiful Lynn Creek Park on Joe Pool Lake in Grand Prairie. Visitors are amazed by the world's longest light tunnel and the Holiday Village out-of-car experiences. 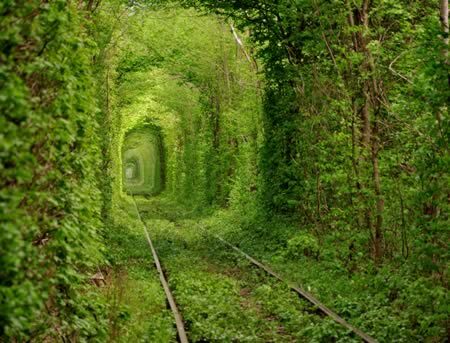 This beautiful train tree tunnel is located in Kleven, Ukraine. It's called the Tunnel of Love. Photo by Oleg Gordienko, original caption by the photographer is Green Mile. Road Through Rock Formation, Red Rock Canyon, Utah, USA. This has to be one of the most surreal, psychedelic and fun forms of public transport. The Tunnel connects East Nanjin Rd on the Bund, and Pudong near the Oriental Pearl TV Tower, running under the Huangpu river in Shanghai, China. 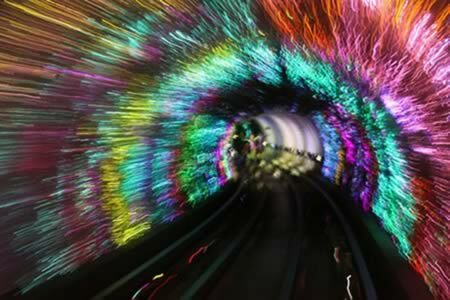 It's a psychedelic trip in a glass capsule along the 647-meter flashing, strobing tunnel. This building and an adjacent one had been used for exhibition space and art classes for over 30 years and they're both scheduled to be torn down to make way for a new larger structure. So, as a final farewell, local Houston artists, Dan Havel and Dean Ruck, turned them into an art installation known as "Inversion." 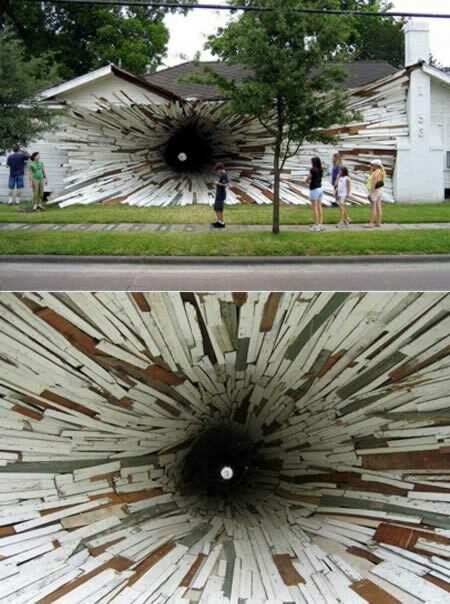 Using boards from the outside of the houses they created a large funnel-like vortex running between the two that ends in a small hole in an adjacent courtyard. It's a cool effect particularly for those who always wanted to experience a black hole without the whole "being crushed to a quantum singularity" end result. Imagine having this cool public market pop up in your town? Well the lucky residents of Rotterdam, The Netherlands, are actually getting one! 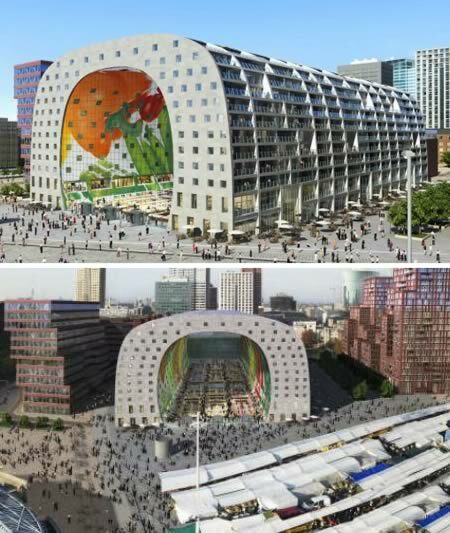 The mayor announced the commencement of construction on the huge tunnel-shaped market hall which will flash images of gigantic fresh fruits and vegetables via LCD screens on the inside and be lined with balconied apartments offering killer views on the outside. This true mixed-use development combining residences, shopping, restaurants and a public market will be a central hub of activity for citizens and tourists. The project is being developed by Provast and was designed by MVRDV. The new icon for Rotterdam is expected to be completed in 2014. 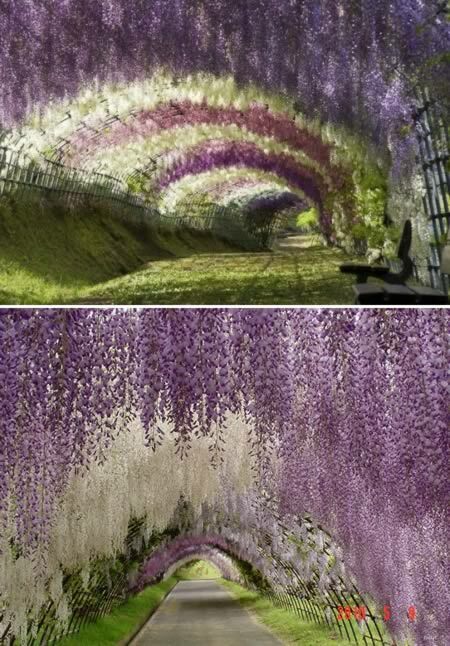 This stunning flower walkway is the known as the Wisteria Tunnel, situated in the Kawachi Fuji Garden in Kitakyushu, Japan. Unusual tunnel for runoff or rock slides. 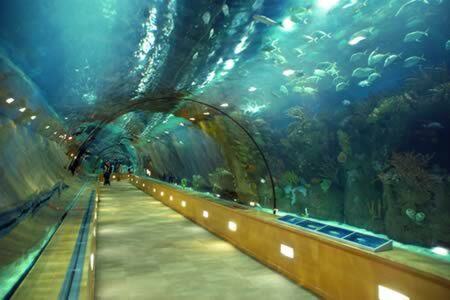 Underwater tunnel at the L'Oceanographic Center in Valencia, Spain.